It's my goal to work collaboratively with our firm leadership and attorneys to help define our brand, determine what makes Gray Reed unique, and assist in understanding our clients and their needs. In a sense I feel my role is to view all that we do from the eyes of our clients so we can connect with them and provide the best service we can. Michael brings more than 20 years of experience in corporate marketing, business development and corporate communications primarily centered on driving business in the professional services sector. Michael provides Gray Reed strategic direction on the firm’s business development and marketing initiatives and leads a team responsible for business development, marketing/branding, marketing technology, creative production, research, public relations and events. He is collaborative, a consensus-builder, highly organized and a results-oriented problem solver. 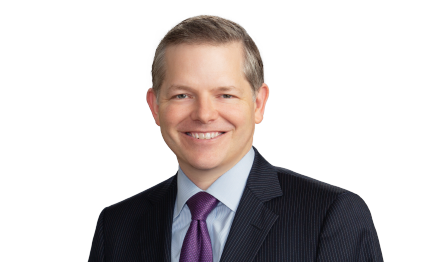 Prior to joining Gray Reed, Michael directed the marketing and communications for the Southern Methodist University Dedman School of Law, Cornerstone Credit Union League and his own political consulting firm, Hamby & Blachly. Michael graduated from Texas A&M University with a Bachelor of Science in journalism and from the SMU Cox School of Business’s Graduate Marketing Program. He is a founding member of the Legal Marketing Association's Texas Chapter, served as Past-President of LMA's Southwest Region and has held numerous leadership positions within LMA. He was recognized by LMA as the first recipient of the LMA Southwest Region President’s Award. Michael regularly speaks on marketing and business development and has presented to numerous organizations including the Legal Marketing Association, Southern Methodist University, Baylor University and the International Association of Business Communicators. Michael is also a passionate photographer and has pursued the hobby for most of his life. To view Michael's photography portfolio, go to www.michaelblachly.com. Recognized by the Legal Marketing Association as the first recipient of the LMA Southwest Region President’s Award in 2018. Gray Reed won honorable mention in the Legal Marketing Association’s 2016 Your Honor Awards in the Website category for its internet microsite system that allows for the creation of mini-websites relating to niche areas of law or legal issues. The Legal Marketing Association, International Association of Business Communicators and the American Advertising Awards recognized Gray Reed in 2015 for its advertising campaign “Lawyer Jokes”. The campaign uses “old school” lawyer jokes but with the twist that they really are not jokes at all.